PHAKALANE, Botswana (16 March 2019) – The GolfRSA Boys and Girls secured their berths in the field for the 2019 Toyota Junior World Cup in Japan with resounding victories in the Boys and Girls Competitions of the All-Africa Junior Golf Challenge in Botswana on Friday. 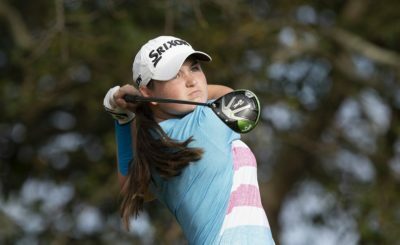 The GolfRSA Girls successfully defended their title for a third successive year, while the GolfRSA Boys claimed a 21st consecutive victory for South Africa in the prestigious junior championship, hosted by the Phakalane Golf Estate Hotel Resort near Gaborone. Ekurhuleni pair Caitlyn Macnab and Kiera Floyd and Kaiyuree Moodley from Gauteng combined for a winning score of 551. Zimbabwe edged out Nigeria with a final round 171 to finish second. 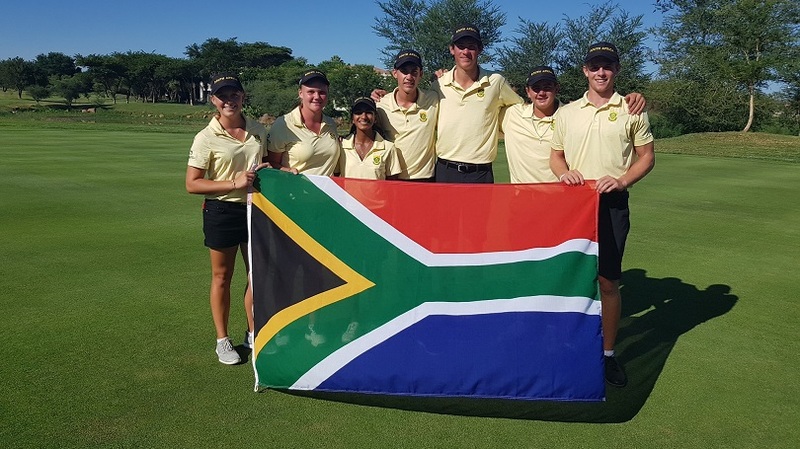 Western Province’s Sam Simpson, Casey Jarvis from Ekurhuleni and Southern Cape juniors Martin Vorster and Christo Lamprecht kept South Africa’s proud winning record on track with a total score of 806, while Uganda made up six shots in the final round to take second. The runner-up finish guaranteed a spot in field with South Africa in the world-class international team event at the Chukyo Golf Club in Toyota City. 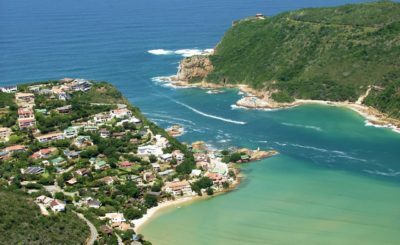 South Africa also enjoyed a strong showing in the Individual Competitions. Macnab won the Girls Competition on a total score of 20-under-par 272, with rounds of 66, 71, 67 and 68. Moodley was second on 284 and Floyd third on 290. New GolfRSA National Squad cap Simpson won the Boys Competition by nine strokes on a winning score of 23-under-par 265 with rounds of 64, 69, 63 and 69. Runner-up Lamprecht finished on 274, Jarvis was third on 275 and Vorster’s final round 68 saw him finish fourth on 276. “It was incredibly hot on the final day and the breeze at the start of the round died pretty quickly,” said Womens Golf South Africa president Sally Greasley. “We raised the bar for the final round and all three girls played so well in blistering heat. They stayed incredibly positive and determined. This has been a fantastic tournament for South Africa. The girls have showed great humility playing with girls from Zimbabwe and Nigeria who don’t have a quarter of the opportunities they do. The final round of the Boys Competition was very challenging, said GolfRSA Manager: Golf Operations Eden Thompson. “The Organizing Committee set the course as difficult as they could with every tee placed as far back as it could be played,” he said. “It was a pretty tough day all round, and Sam and Martin definitely stood out with the way they managed their games. “Martin led the team out and once again his ball striking was exemplary. Despite missing three putts inside five feet, his four-under 68 was the low round of the day. It was a well-constructed round of golf. “Casey followed next. After a tough break at the first, he holed a really good eight-foot putt for bogey but unlike yesterday, he wasn’t able to keep his composure and got distracted. He closed with 73. “Christo went out third for the team and there was some concern when he pulled up on the range with what came across as a muscular spasm in his lower back and hip. After a rub and stretch, he went out to play but was never happy. He let a few shots slip on the back nine to sign for 74. “Sam was out last and once again played solid golf with nine straight pars. After a par at 10, he made his first birdie on 11 to finally get under par. He played solid percentage golf, notched a second birdie at 15 and he closed out an emphatic individual title win with a birdie on the 18th hole for 69, marking four consecutive sub 70 rounds. “The dynamic of the team was great and the players backed each other up really well in this tournament format. We are excited to take these four young stars to Japan and we believe that they have the ability to do really well in the Toyota Junior World Cup. 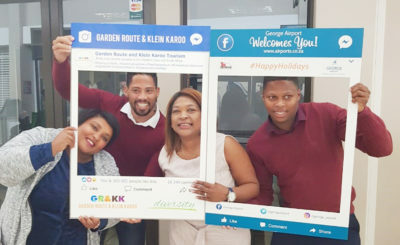 PHOTO: The GolfRSA Boys and Girls Teams celebrated double victories in the 2019 All-Africa Junior Golf Challenge at the Phakalane Golf Estate Hotel Resort in Botswana; credit GolfRSA.